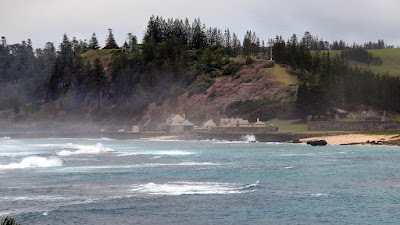 An earthquake of magnitude 6.0 struck Australia’s remote Norfolk Island, the United States Geological Survey reported on Thursday. The quakes were registered at a depth of 10km and about 681km northeast of the island. The small Norfolk Island lies 1,412 kilometers east of the Australian mainland. It has a population of around 1,750. The island is located close to the Ring of Fire, the major area in the Pacific Ocean where earthquakes and volcanic eruptions frequently occur. The tremors come a day after a 7.6-magnitude earthquake struck the coast of the French territory of New Caledonia. There is no immediate tsunami warning and no reports of casualties.